Cancer of the liver is defined as uncontrollable grow of cells that invade liver and cause damages. Liver cancer is divided into two categories. The first category and general term of liver cancer is primary liver cancer when the cancers begin in the liver while the second is secondary cancer when the cancer begins elsewhere but spreading to the liver. Primary cancer is malignant tumor that consists of hepatocellular carcinoma (HCC), cholangiocarcinoma, and angiosarcoma. Primary liver cancer has lower incident than secondary liver cancer and occur more in men than in women. Liver cancer is like a silent killer because the symptom may not appear until the cancer grows and become advance. 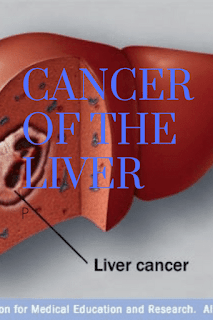 The common symptom of cancer of the liver are weakness, tiredness, weight loss, fever, pale bowel motions, yellowing skin and eyes, feeling sick, loss of appetite, severe pain of the abdomen, swelling of the upper right side of abdomen, and pain in the upper right side of abdomen. If you experience the symptoms, consultation to doctor is necessary. Doctor will do several tests to diagnose liver cancers, including blood test, ultrasound, CT Scan, MRI, PET-CT Scan, and biopsy. After the diagnosis completed, treatment could be performed. Many treatments are available to fight cancer of the liver. Tumor ablation and chemotherapy are two common treatments for primary liver cancer while chemotherapy and surgery as the common treatments for secondary liver cancer. The other possible treatments are biological therapy, selective internal radiation therapy (SIRT), endoscopic stent placement, and palliative treatment. When condition of the liver is really bad, liver transplant is possible. However, it is hard to find suitable and eligible liver donor. Primary liver cancer is mostly caused by hepatitis C and B infection. The other risk factors for the disease are liver scaring, genetic disorder, obesity, smoking, high alcohol consumption, diabetes type two, and exposure to certain chemicals. Preventing liver cancer could be done by reducing the risk factors. Since hepatitis is the biggest risk factors, vaccination is the most important way to prevent primary liver cancer. The other preventive action for cancer of the liver is living a healthy life by eating healthy foods, enough exercise, enough rest, avoiding alcohol, and stop smoking.